Christchurch Bay 55 (CB55) are a luxury real-estate development company based in Christchurch, Dorset. The Founders appointed CuCo as their new brand consultants, asking us to develop a fresh and unique identity for the business in time for the launch of their first development project – a courtyard of seven 3 and 4 bedroom homes located in the sought-after Mudeford Quay area. CuCo delivered a clean, modern brand identity for CB55 which features a bespoke hand-illustrated font, used to portray the tailored service the company provide to its clients and to emphasise their exclusive feel. We then designed a suitably lavish set of business cards for the CB55 team which would ensure the right impact for first contact with buyers. CuCo managed the print process from start to finish, ensuring we delivered a set of the highest-quality cards, utilising a 540gsm GF Smith duplex board, with a letterpress print finish. 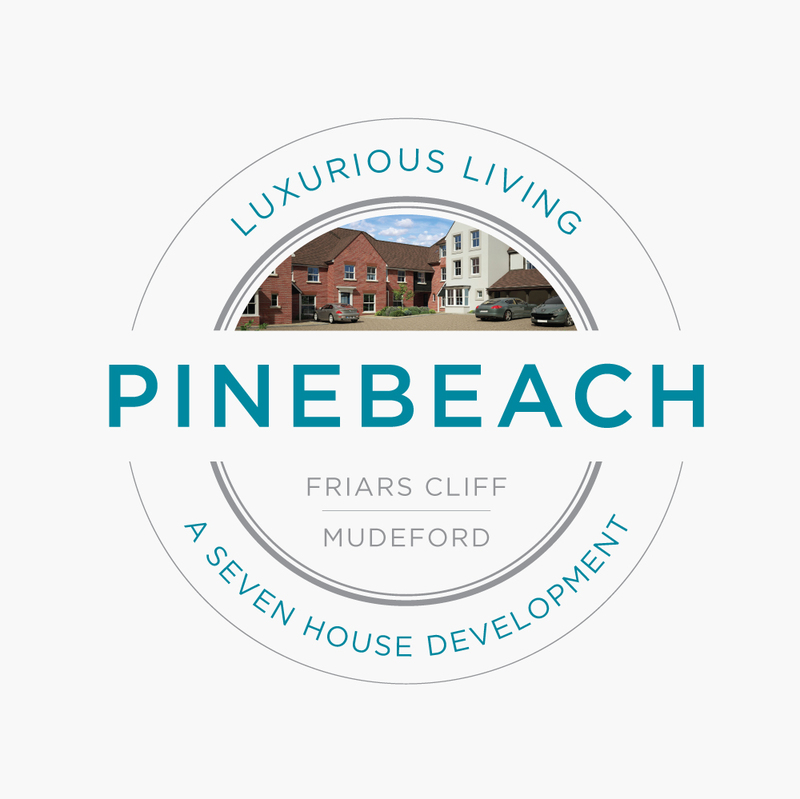 Tasked with naming CB55’s first development, CuCo would propose ‘Pinebeach’ following a site visit at Mudeford Beach and brainstorming session – the pine trees that line the view from the cliff were clearly an incredibly beautiful and a hugely distinctive feature of the area. 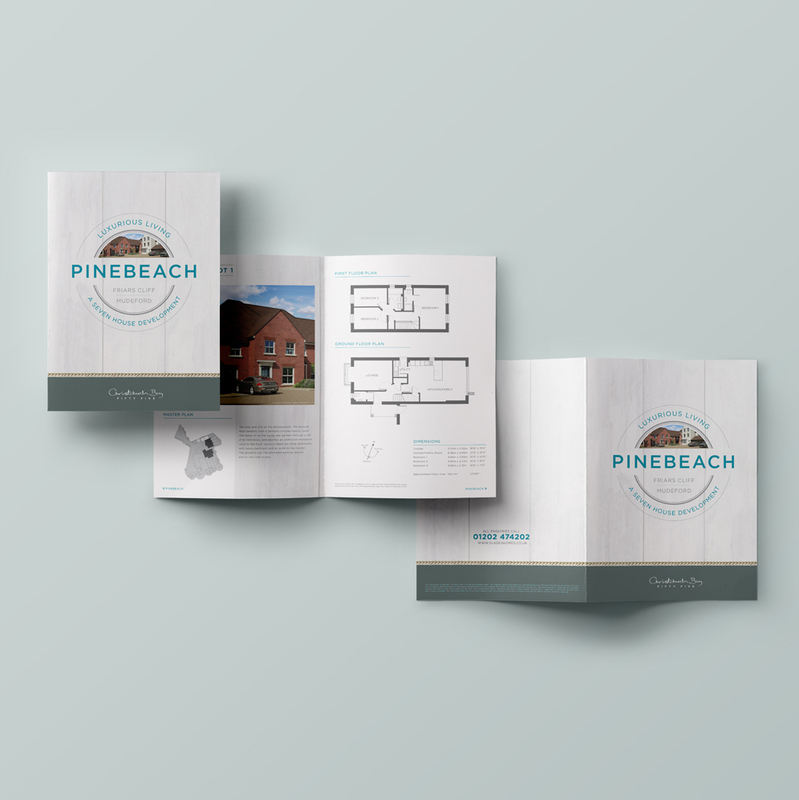 A high-end soft-touch brochure, bespoke signage and accompanying sales literature would all be designed towards the marketing drive for ‘Pinebeach’. 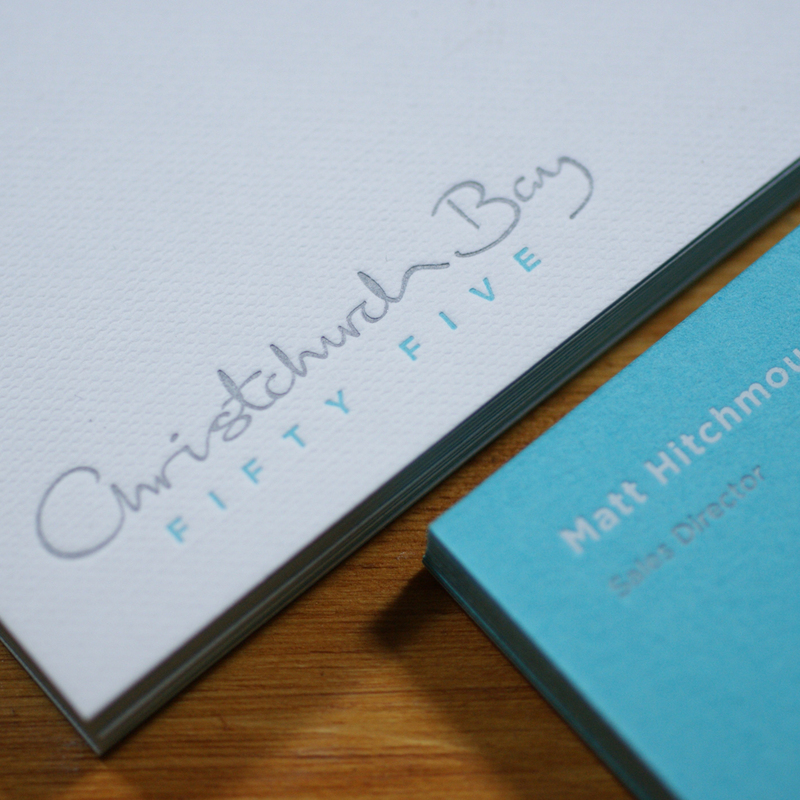 It was incredibly important to us that the brochure itself encapsulated the Christchurch lifestyle – a diverse mix of heritage, beautiful coastline and countryside. The brochure itself is brimming with large, high-definition images of the area. There are also detailed pages for each individual property, which include images of the exteriors, individual features and floor-plans. With a strong luxurious marketing presence the entire ‘Pinebeach’ development was sold within three months of going on the market. Due to the great marketing success of ‘Pinebeach’ the client immediately asked us to work on a digital project for their sister company, Evans & Traves, an architectural and town planning consultancy.